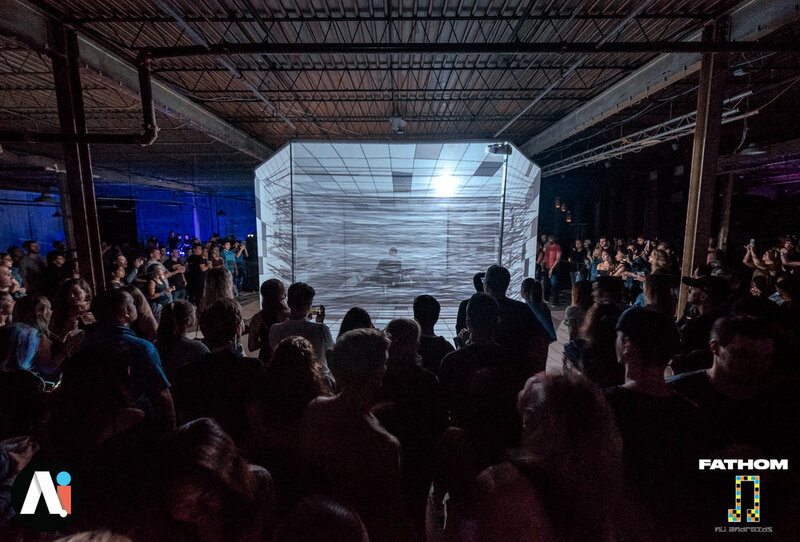 The Dimensions Series is a collaboration project with Nü Androids that aims to work with local artists and creatives to create a meaningful multi-sensory visual experience with lasting cultural impact to Washington DC - pushing the boundaries of art, music, and technology. In 1905, Albert Einstein published the theory of special relativity, which changed the way we perceive the universe. The theory fused the three dimensions of space with the one dimension of time into a four dimensional continuum. This model became known as ‘Spacetime’. 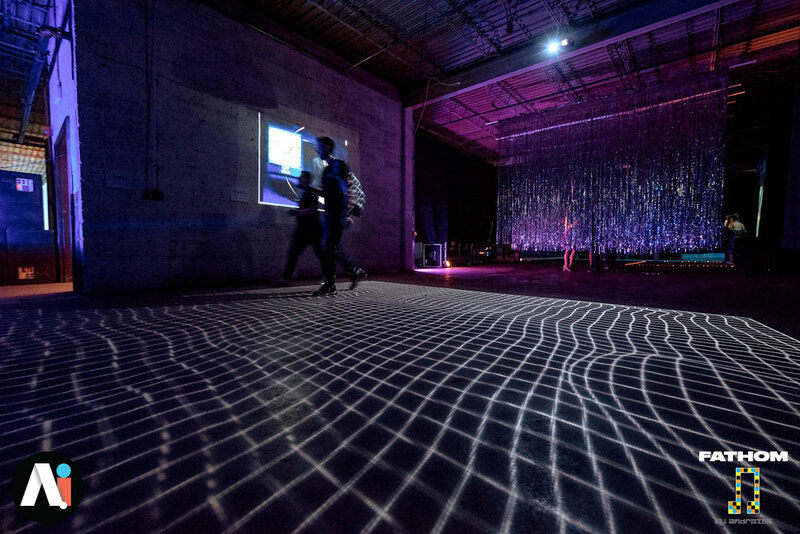 For DIMENSIONS, each artist (both visual and musical) will create large three-dimensional spaces, materializing their own universe through immersive, experiential art installations and performances in an industrial space over the course of a two-day exhibit. Over a hundred years on from Einstein’s original paper, you are invited to join Fathom and Nü Androids on this artistic and musical journey through Spacetime. 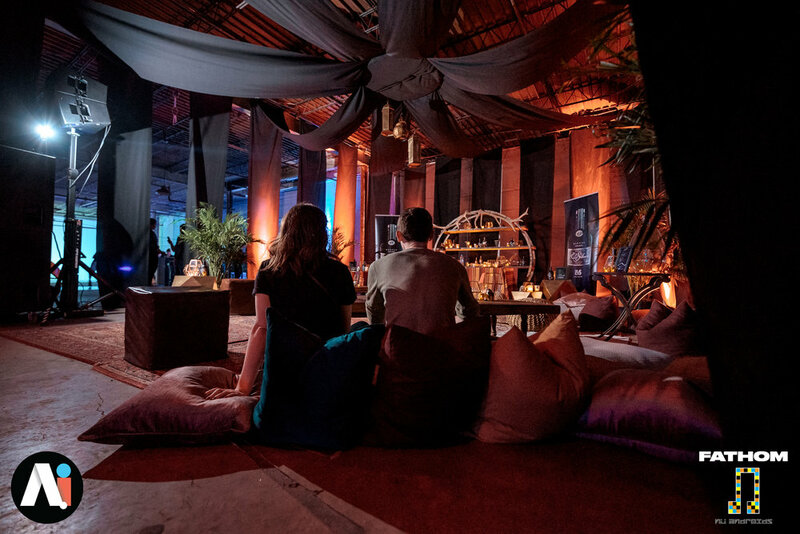 Fathom is a creative house aimed to showcase and collaborate with multidisciplinary artists through imaginative concepts and interactive events.